Savers is no ordinary thrift store—it’s a leader and pioneer in the retail thrift industry. 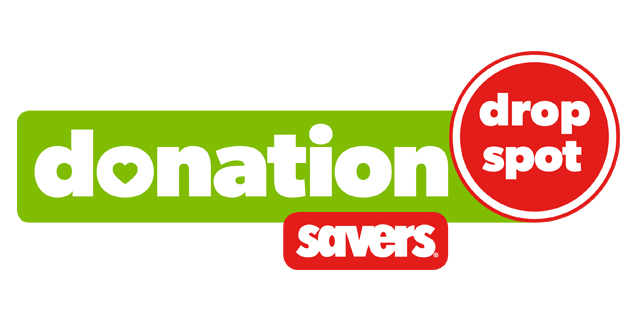 Partnering with over 140 nonprofits, when customers shop at Savers they also help support many local community programs. 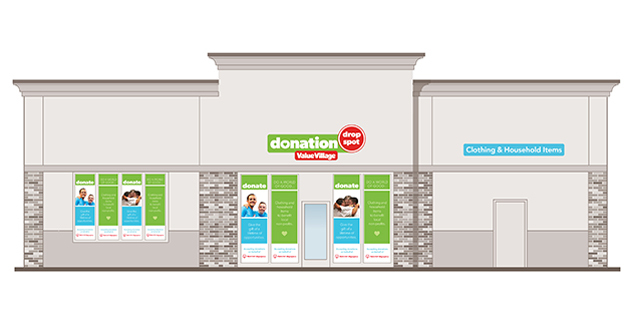 Arscentia stepped in to help Savers solve a three-tiered branding dilemma: the development of a new Donation Drop Spot brand, the elevation of the Savers/Value Village brand and the emphasis of each individual nonprofit partner—all while maintaining brand hierarchy and consistency across every level of customer experience. 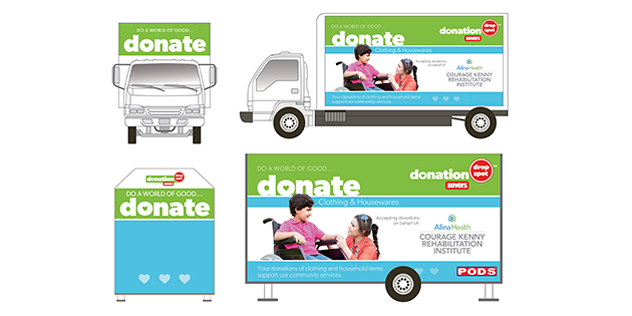 Working with the Savers marketing team, Arscentia established strong and consistent brand standards that were applicable to all brand elements: exterior and interior signage, window graphics, PODs, bins, store experience and marketing materials. 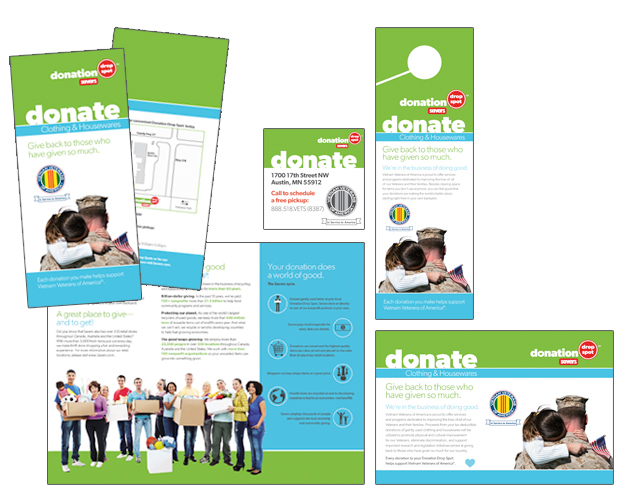 The resulting Donation Drop Spot brand is friendly and approachable, while retaining customer recognition, readability and the company’s focus on charitable giving.